A few years ago in 2006, scientists made what they felt was a breakthrough discovery: the mouse virus XMRV was found in a significant number of samples of prostate cancer. They felt they had stumbled upon something very exciting and if they were right – if this virus was in fact a cause of prostate cancer – the future looked very bright for the development of new treatments, cures and maybe even a vaccine. 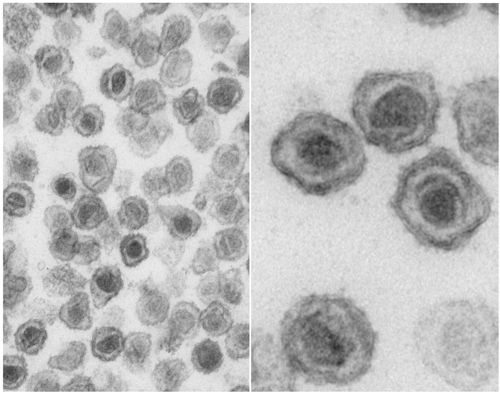 A few years later in 2009 and a different group of researchers found the same virus in tissue samples from people with chronic fatigue syndrome (CFS; also called myalgic encephalomyelitis, or ME). Sufferers of this syndrome have fought – and continue to fight – a long battle with the medical profession to have their disease recognised as a genuine medical condition with a tangible cause rather than being something psychological or all in their heads, so this news was exciting. In the States, chronic fatigue syndrome sufferers are even banned from donating blood because of the supposed viral link. Four new research papers published this week in the journal Retrovirology however, have potentially quashed any hope that ME or prostate cancer sufferers may have garnered from the formerly suspected link between their conditions and the virus. One lab claims that rather than patients being infected with XMRV, their tissue or blood samples taken for diagnostic testing have been contaminated with mouse DNA, which itself may contain XMRV virus markers. Another group have gone so far as to blame a particular manufacturer of DNA testing kits with having mouse DNA-contaminated reagents. I recently wrote a press release for Retrovirology that covered the publication of these four research articles, plus a Comment from Prof Robert Smith from the University of Washington. The story, which has been picked up by UK national newspaper, The Guardian, has caused quite some controversy (see the Virology blog article below and read the comments from disgruntled ME sufferers). I’m chuffed that one of my PRs has got into the national press – again! Disease-associated XMRV sequences are consistent with laboratory contamination, Hue et al. An endogenous murine leukemia viral genome contaminant in a commercial RT-PCR Kit is amplified using standard primers for XMRV, Sato et al. Contamination of human DNA samples with mouse DNA can lead to false detection of XMRV-like sequences, Oakes et al. Read the press release I wrote at BioMed Central: Back to square one? Mouse virus may have no role to play in chronic fatigue syndrome and prostate cancer after all.